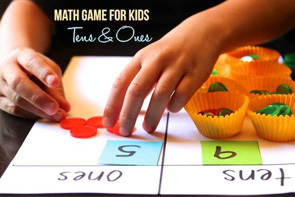 A selection of fun, hands-on math activities for learning about 2D and 3D shapes. 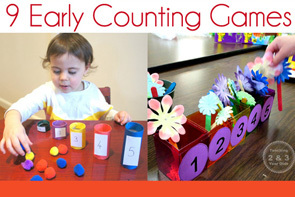 When we think of early mathematical learning, we typically think firstly of numbers. 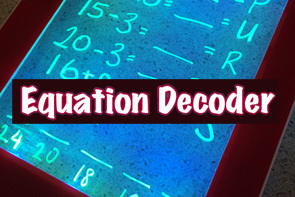 But there is a whole other world of mathematics to enjoy and explore and that is the world of shapes! 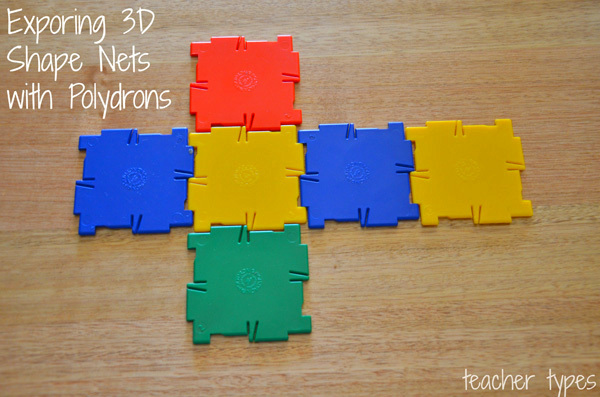 This post includes fifteen ideas for learning about 2D and 3D shapes (and their properties) in fun and ‘hands on’ ways! Between the ages of two and four years, children typically begin to learn the names of simple 2D shapes incidentally; generally learning about circles, squares and triangles to begin with. We see them in picture books, on TV shows and in every day life (does anyone else’s toddler insist on their sandwiches being cut into a certain shape?) 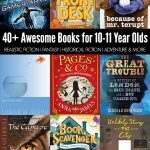 In their first years of school children will build on this knowledge, learning about rectangles, ovals, hexagons, pentagons and octagons, just to name a few. A great way to kick start learning about shapes (whether it be at school or home) is with a ‘shape hunt’ – exploring and identifying shapes in our environment and everyday life. 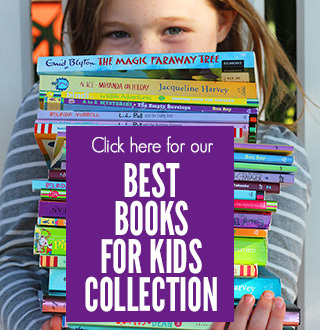 You can go on a shape hunt around your house, backyard, classroom or neighbourhood. 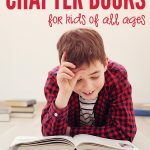 Older children can take a checklist or paper to record their findings on, while younger children will enjoy discussing what you see as you go. Photographing the shapes you find is another great idea, with the photos being perfect for compiling into your very own shape book. Popsticks and matchsticks are such versatile learning materials. 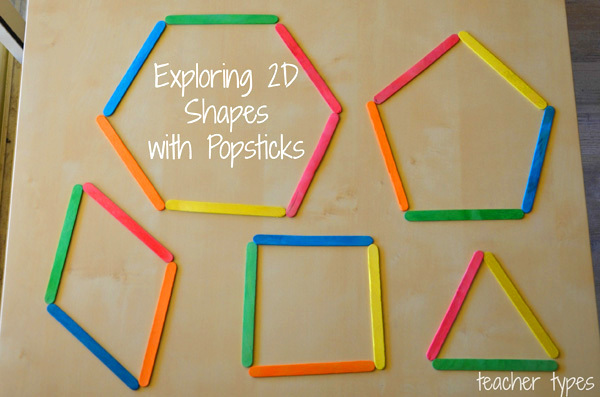 They make a great resource for creating 2D shapes. 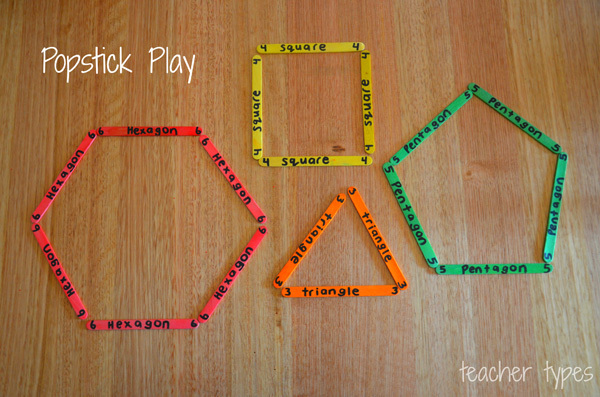 Take the above activity one step further and make a self correcting puzzle by using the one colour for each shape, writing the name of the shape on each popstick and including the number of sides/corners. This makes a great busy bag. Pipe cleaners provide a great workout for finger muscles. They can be bent and twisted to create a variety of 2D shapes. 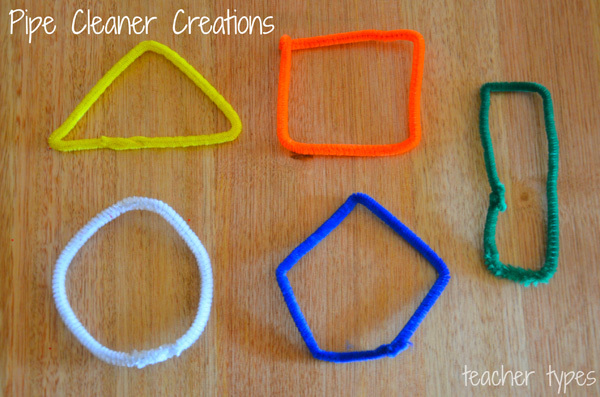 As a variation, make the shapes larger by using one pipe cleaner for each side of the shape. Playdough is also a useful tool for exploring shapes. 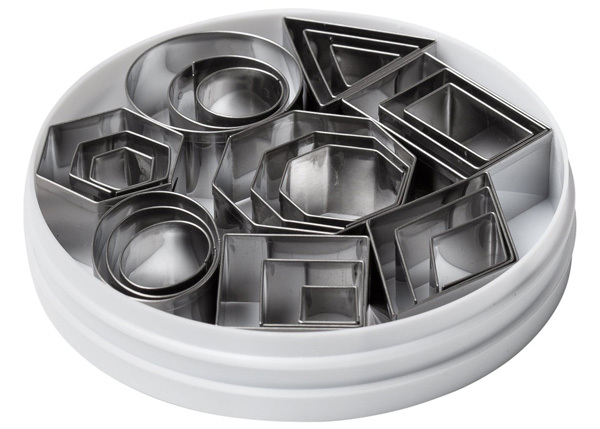 Adding a set of geometric cookie cutters (like this one) to playdough play is a super easy way to add shapes to your day. Kindergarten and school aged children will have lots of fun creating pictures with shapes. I created these two as example,s using a variety of shapes cut from textured papers and buttons. 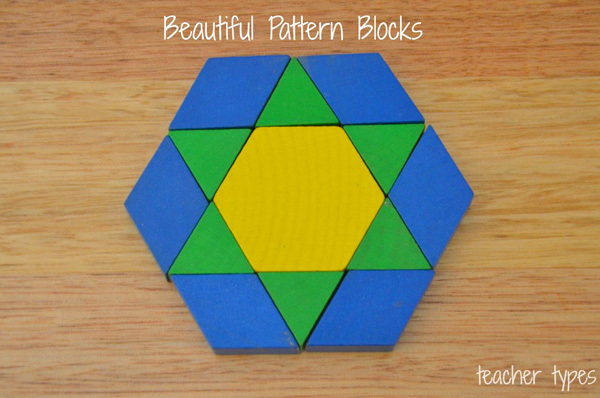 Pattern blocks are one of my favourite classroom materials. Not only are children learning about 2D shapes when they play with them, but also other mathematical concepts such as symmetry, tessellation, pattern, sorting, counting and so much more. 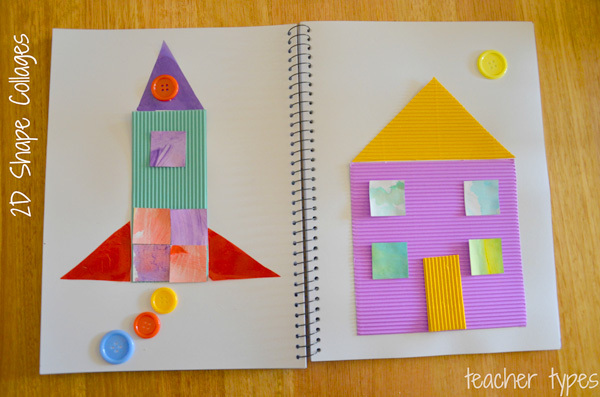 This activity could either be left unstructured for the children to make their own pictures, patterns and shapes, or you can use pattern block activity cards as a guide. Here’s a cute little song to help preschoolers learn 2D shapes. It works best with a group of children, with everyone holding a shape (sing to the tune of If You’re Happy and You Know It). If you’re holding a square stand up! If you’re holding a square stand up. When I’m introducing the topic of shapes to my class, I always start with a ‘feely bag’. The idea being that the children feel the shapes in the bag without looking, trying to identify each shape using only their sense of touch. We discuss – How does it feel? Does it have pointy corners? Does it feel round? Once the children are familiar with names of the shapes, it’s fun to guess the shape they’re holding before revealing it! Generally speaking in the first year of school you could expect your child to learn the shapes pictured above; rectangular prism, pyramid, cylinder, cone, cube and sphere. 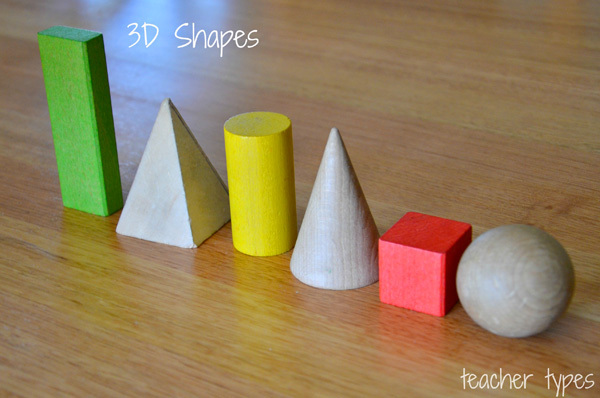 3D wooden blocks are a great resource for talking about the features of 3D shapes (and the 2D shapes they are made up of). 11. Test It: Stack, Roll or Slide? 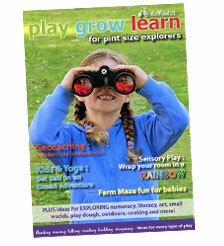 As children learn 3D shapes, it’s fun to explore how they move and interact with each other. Set up a simple ramp and test each shape to see if it rolls down the hill or slides? Next, test each shape to see if it can be stacked easily on top of another shape. 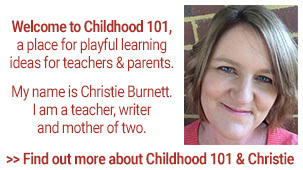 Explore your child’s understanding of why a shape does (or does not) roll, slide or stack. 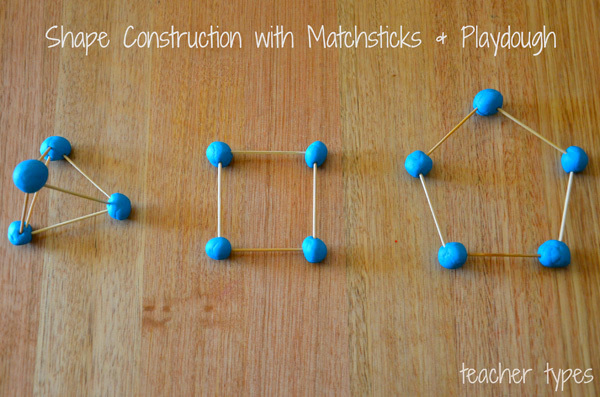 Add matchsticks to playdough and invite children to create 2D and 3D shapes. 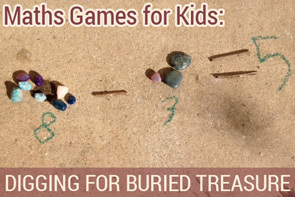 Moulding 3D Shapes from playdough or kinetic sand is a fun, hands-on challenge. 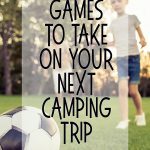 School aged children can begin to explore the concept of ‘nets’. A net is a 3D shape flattened out. These plastic polydrons are a fantastic tool to teach this concept. Making your own die cube is a great place to start! (Once again we see 3D shapes in our everyday life). Here’s a link to a free die template printable from Teachers Pay Teachers. Finally here’s a simple 3D shape rhyme to help children connect the name of the shape to real life objects. 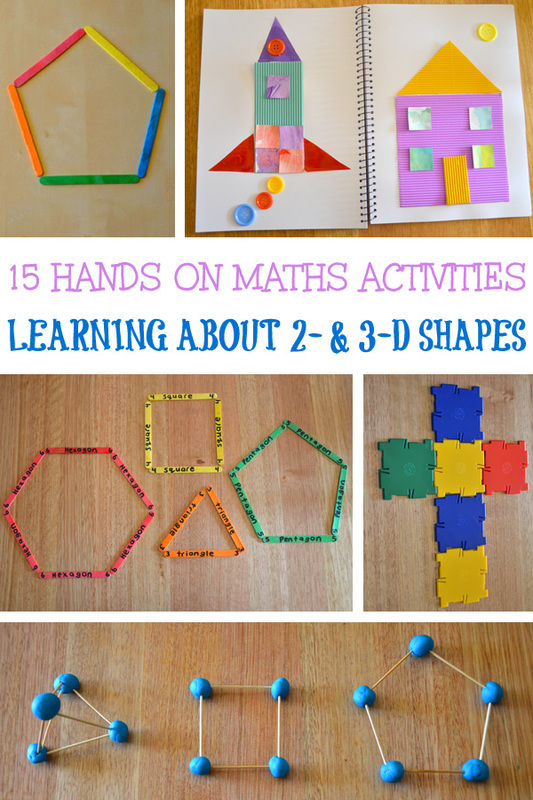 What are your favourite activity ideas for learning about 2D and 3D shapes? 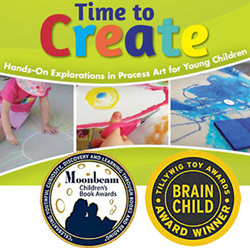 Dear Ms. Lauren, Wonderful activities for the kids to explore with shapes. Good job.